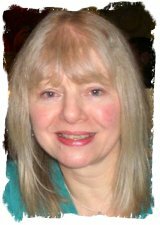 Hello, my name is Linda Vickers and I have been teaching Reiki training courses in Tyne & Wear since 2005, based on Reiki Evolution guidelines as Taggart’s method of teaching felt right. I found that during my training the professionally produced material and the level of support appealed to me. 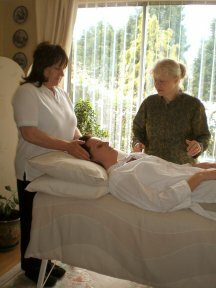 To my delight in 2008 I was invited to become a Reiki Evolution teacher. I am based in a small village of Hetton le Hole, approximately 5 miles from Durham and 7 miles from Sunderland, Tyne and Wear. I host First Degree, Second Degree and Master/Teacher courses throughout the year, plus Crystal Healing workshops. They are all held in my home, which I share with my husband and cat Molly. A place where you will receive a warm, welcome as the quiet peaceful energy invites you in. During summer or for the brave, the garden is a lovely retreat for lunch or a spot of fresh air and time to reflect on the mornings activities. Learning Reiki is a life changing experience. My courses are informal, friendly and fun, based on small intimate groups of not more than four people, which means that you are assured of individual attention. There is plenty of time to ask questions and interact with other students and to build up a feeling of support and encouragement. Meeting new people with like minded interests and unique gifts, make a Reiki class distinctly different on each occasion. Its’ such a pleasure watching people develop at their own pace and see the delight on their faces at the end of a day, full of new experiences, where everyone is just a little reluctant to leave for home. I never tire of listening to my student’s special stories, of their first experiences with the energy exercises and self-healing, to that first treatment of a friend. I feel that supporting the individual is one of the most important aspects of teaching Reiki; this is due to the memories of my first encounter as a Western Reiki student. Students contact me via email, post, by telephone or increasingly by text. My Reiki Share is held the first Monday in the month where students and people of all Reiki lineages are very welcome. The group emerged in 2006 as I wanted to support my students and Western Reiki friends; to build a sense of community, a sharing of experiences and help develop student’s spiritual awareness. A place where questions could be asked and advice received, plus feedback from a different prospective. A cup of tea and a warm welcome is assured. I have a lending library of various spiritual books and magazines, the odd, video and DVD. I also produce a small magazine to keep students and Reiki friends up to date on courses and for welcoming new students, inspirational words and on going article’s i.e. presently I am working through the chakras, there is a voluntary donation of £1.00, to help with the printing. The evening includes, meditation, distant healing, empowerments, energy work and treatments (sometimes many hands) depending on group size. It is informal and in put from all participants, is welcome. 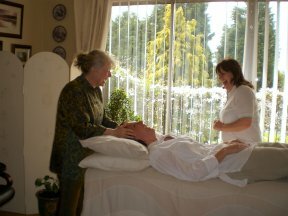 Reiki entered my life in 2002 after a skiing accident in January when both knees were damaged. I was unable to walk and even after 3 days the muscle damage was unbelievable. I was off work for 3 months and attended weekly physiotherapy sessions until July of that year. I found that daily exercises and meditation were a normal part of my fight back to recovery. During this time I attended a Reiki workshop. To get to the class I had to walk down 2 flights of stairs, this was quite difficult as I had just left my crutches in the car when my husband dropped me off. We lived in a bungalow, and the most stairs I had encountered were 8, on my bottom most of the time. I got down, how I don’t know but that day made such an impression and I walked up and down stairs, slowly but I did it. 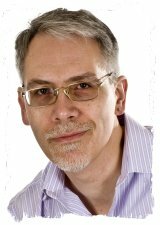 Shortly afterwards I attended a two day Reiki 1 course which changed my life, it was as if I had come home, found what I had been searching for. I will never forget my first attunment, the people that I shared my experiences with or my Master. My experience was a very spiritual one that I have never fully spoken about, deeply personal. I found that when I returned to work on the Monday and friends asked how my course went I was so emotional that I could not talk about the experience until I had time to wrap my head around it. Why did I want to learn Reiki? My desire was to self-heal, heal my family and friends. I had three grandson’s who all had problems with their ears and the normal childhood illnesses, and also my friends and I had very stressful jobs. My quest for knowledge continued and I became a practitioner of Reiki. Whilst working in the large company I found that people were not open to Reiki and began learning Reflexology so that more would benefit from the healing energy. Upon completion of my course I decided to devote my first year to charity work, which gave me an immense sense of satisfaction and raised a considerable amount of money for charity, some of which I am still active in. During 2004 my Reiki treatments changed I seemed to be doing things that I had not been taught, a comment by my Western Master left me feeling very confused. Then I literally stumbled on Reiki Evolution, which was very strange as I was not looking for information on Reiki and the rest is history, (when the student is ready the Master will appear). I completed a conversion course and found it enlightening, very spiritual so refreshingly different to what I had known. The support, new information, guidance and the professional way the course was taught fed my thirst for knowledge. My life changed again as I progressed to Master / Teacher, I feel very privileged to be teaching this wonderful system to students of my own, and the search for knowledge carries on. During 2005 I took a year out from the large company that I worked for, learning more complementary therapies and never went back. From day one of teaching Reiki in 2005, I have been committed to the Reiki Evolution method, their simplistic uncluttered approach is so refreshing, the quality of the teaching materials, the professional CDs and DVDs, and the way the information is not limited to one way of learning. It is a joy to work with and the excellent support that is given is brilliant. Reiki brings such simple joy on a daily basis into my life. A question only you can answer; it is life changing, it is commitment on a daily basis, it is spiritual self-growth, it does have an effect on those around you and much, much more. Do you want to bring more meaning into your of life? Do you want to enhance your intuition? Do you want to feel more laid back about life? Do you want to help family/friends/people? Are you ready for a transformation? Then Reiki is for you. I do not have an eloquent way with words only pure simple truth. I bless the day that Reiki entered my life. I bless the day that I found Taggart’s web site. I bless and welcome the changes that have come into my life and meeting of each and very student. I feel very humble and privileged to pass on the teachings of this gentle, wonderful healing energy. I understand that my words do not convey what my heart feels about this system called Reiki. I can only describe it as love in action, to feel the powerful connection, to feel the energy moving through my body, to feel the love that surrounds me is incredible and knowing it will be with me throughout all time fills me with light.